The weather is looking promising so we’re going to give it another try this Saturday, September 29. Please pass this on to anyone you think may be interested. Unfortunately we’ve had to postpone the flight due to terrible weather. (near freezing, 40km winds and a mix of snow and rain). I’ll re-send an announcement when we have it rescheduled. Well, ARRL Field Day is over for another year. Some Central Alberta amateurs operated this event from the Red Deer County EOC Amateur Radio Station. 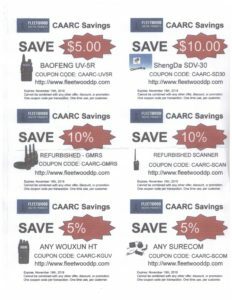 I would like to thank CAARC for encouraging me in this venture. I also thank Rod, VE6XY, and Stephen, VA6SGL, for trying to keep me grounded. And a special thank you to Brian for helping me understand the radios and correcting the aim of the HF beam antenna and for serving as Safety Officer. Ric Henderson, now Assistant County Manager of Red Deer County, found a way to let it happen. 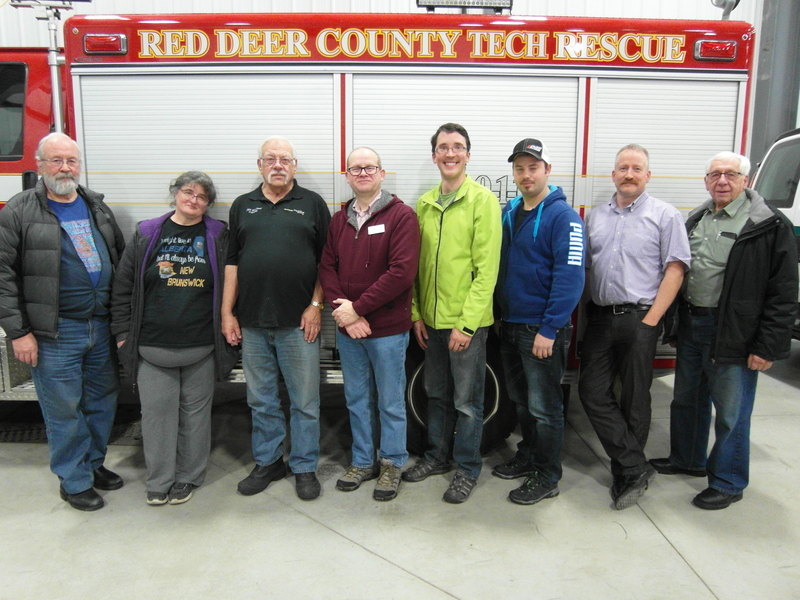 Ryan Mysko of Red Deer County served as the Red Deer County EOC member of our planning team. And a big Thank You to him for being patient with the preparations and testing and facilitating our access to the county’s radio station. The petition will be closed for signatures on October 4, 2018 at 9:33 am. It is with sadness we announce the passing of Jack Humphries VE6JRH/VA6IX from Olds. 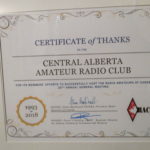 Jack received his Amateur Radio license in June 2001 and had been very active on the bands ever since. 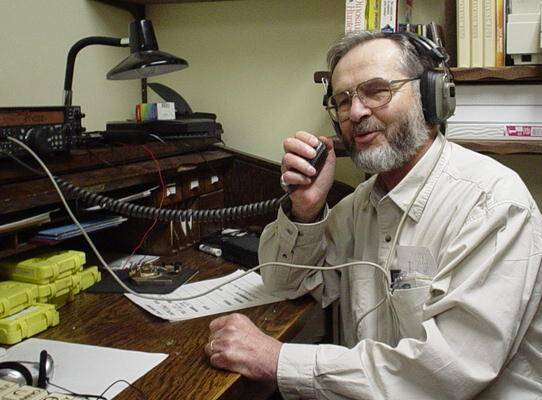 Jack was very instrumental in helping many hams obtain their licenses and he made many friends on HF and VHF. Jack worked many stations around the world on various bands and was always listening and ready to engage everyone in a meaningful conversation. He will certainly be missed. Jack’s funeral service will be held on Friday April 20th at 11:00 A.M. at The Church of Jesus Christ of Latter-day Saints, 3802 57 Ave. Olds. The following is from a profile of Jack, written on the CAARC web site October 30, 2003. I grew up on a farm southwest of Drumheller, Alberta, just south of the Horse Shoe Canyon. I came down with Diabetes Mellitus in 1947, which certainly changed my way of life. My father took ill in 1950 and my work load at age eight got considerably heavier, with lots of chores to do. Dad then suffered a stroke in 1952 and work around the farm got a lot harder. I started driving truck and hauling grain when I was ten years old. Dad passed away in 1953 when I was eleven. I had a younger brother and two younger sisters. I met my XYL in Calgary during 1960 and we went our separate ways until we married in 1965. We lived in Calgary, on 42nd Street SW, had two children, a boy and a girl. We subsequently moved to Olds, Alberta in 1969. We bought a shoe store in 1974 and sold it during the devastating inflationary early eighties. 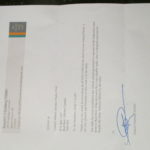 I presently work in Life Insurance and Mutual Funds as an independent broker. Please click this link to read the complete profile of Jack. Congratulations to the new executive. Click this link to see them if you are logged in to this web site. Baofeng UV-5R dual band winner. was won by Richard VA6RGB. (no Picture as he left early). Please see the attached schedule for dates through to April 2018. If you’re unable to run the net on a given date please arrange for someone else to stand in. If I have missed anyone who would to volunteer please let me know.